After another up-and-down season ​marred by controversy, many NFL experts expected the Tampa Bay Buccaneers to move on from Jameis Winston and the $21 million he was owed. The Bucs could have cut the former No. 1 overall pick this offseason without owing him any money or having a big cap hit. But in a draft and free agent class that has limited talent at the quarterback position, the team decided that bringing Winston back was the most logical choice. 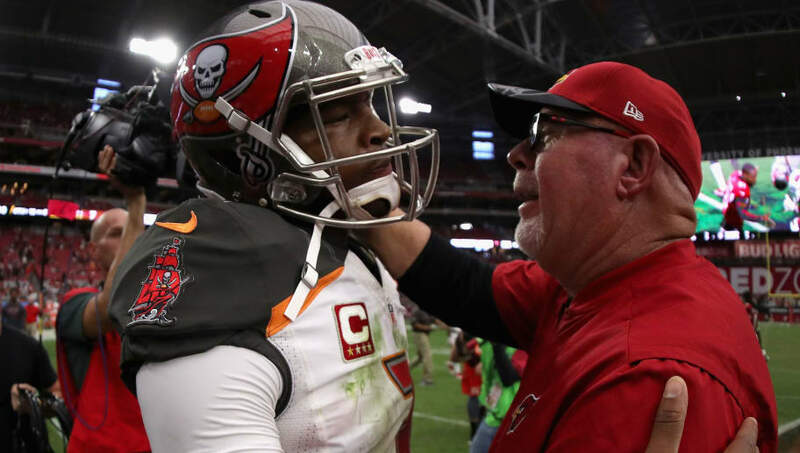 Tampa Bay hired quarterback guru Bruce Arians as its head coach this offseason, and he made it clear that resurrecting Winston's career is the top priority. Arians simply feels like Winston's struggles are due to his mechanics. Arians' track record suggests this isn't as far-fetched as you might think. After all, Arians did recently revitalize Carson Palmer's career. In 2015, Arians coached Palmer to the best season of his career, throwing for 291.1 yards and 2.1 touchdowns per game. That's a massive improvement on Palmer's career averages of 254.1 yards and 1.61 touchdowns per game. If Arians manages to fix some of Winston's issues, he could be in for a big season. The Tampa Bay Buccaneers' offense is ​loaded with playmakers, so Mike Evans, O.J. Howard and Chris Godwin could all be in for a fantasy boost as well. Ultimately, the Arians hiring is supposed to be a massive boost for Winston's fantasy value. However, if Winston can't succeed under Arians' tutelage, it's hard to imagine him returning to the Buccaneers next season.